Add 1 tsp oil into it. Once oil gets heated, add chopped or sliced onion. Fry the onions till it become translucent . Now remove it on a plate, and allow it to get cool down. Once the onions are cooled down, mix curd and salt into it. Now heat pan once again. Heat the remaining oil in it. Once oil is heated up, add mustered seeds. allow it to splutter. 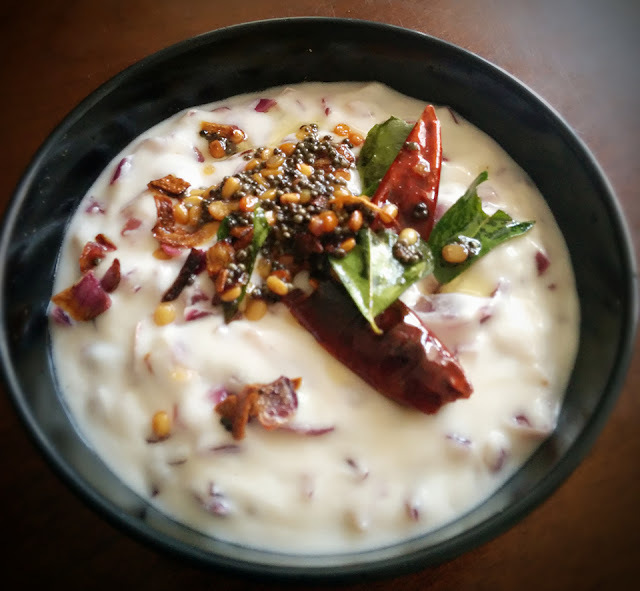 Once mustered seeds are splutter, add split black gram dal, curry leaves, and dry red chillies and asafoetida. Serve with Briyani or parathas.